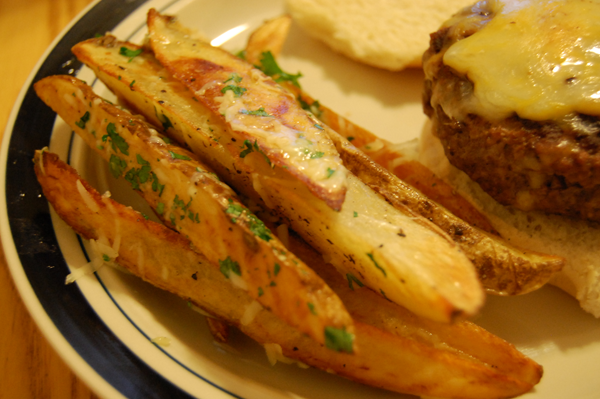 There's this restaurant in our neighborhood called Hunter's that makes the best truffle fries. I mean...they are like little pieces of heaven. Ever since we first ate there I have been craving them! Since we are trying to cut back on spending, we've been doing a lot of eating in and home cooking. And by we I mean mostly my fiance (he's a way better cook then I am)...BUT I am one hell of side maker. 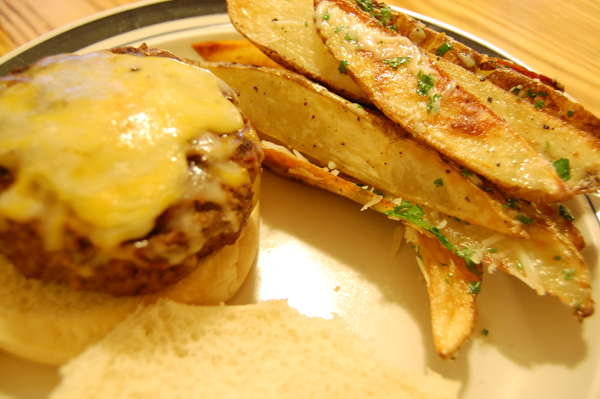 I found this Parmesan Truffle Fries recipe on pinterest and decided that it would be a great side to make with my fiance's stuffed burgers! Leave the skin on the potatoes. Cut each potato in half the long way, then each half in half the long way. Now take each quarter and cut into three wedges so when you are done, you will have 12 wedges per potato. Don’t worry if you get less, as long as they are uniform in size. 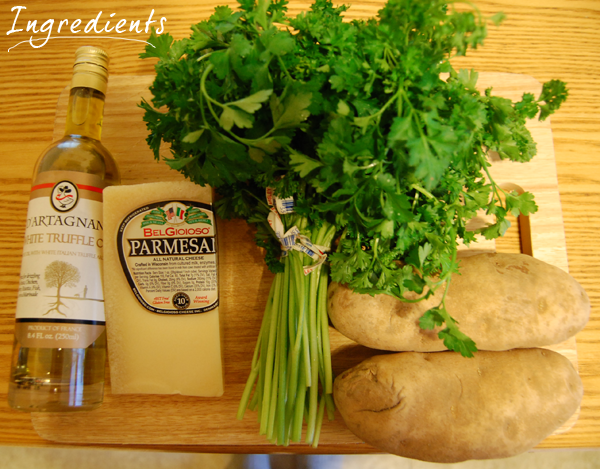 In a bowl toss the cut potatoes with two tablespoons of truffle oil, all of the olive oil, salt and pepper. Lay out flat on a sheet pan and roast for 15 minutes. Turn each wedge over and roast for about another 15 minutes or until browned and tender. Remove hot fries from sheet pan and place in a large bowl and toss with truffle oil, chopped parsley and grated Parmesan. I'm so in love with anything truffle. Pure deliciousness! If anyone is interested maybe I can have my lovely fiance do a guest blog of his stuffed burger (hint hint: it's stuffed with bacon, onions and more cheese!). 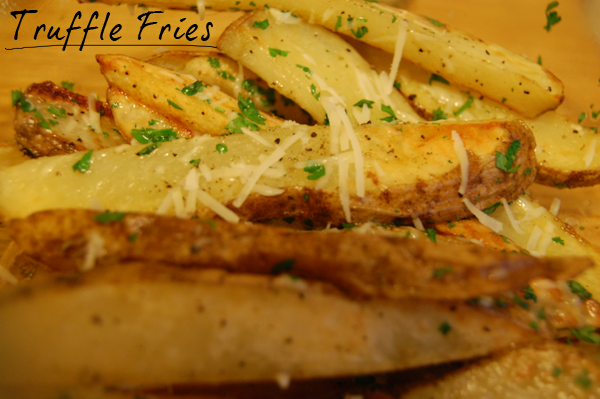 What do you think of truffle fries? I may have to try it someday.